The Davis Cup began in 1900 as a competition between the USA and Great Britain. In 1905, Davis Cup expanded to include France, Austria, Belgium and Australasia, a combined team of players from Australia and New Zealand. Today, it’s the world’s largest annual international team competition in sport, with 130 nations entering in 2011. BNP Paribas became Title Sponsor of this competition in 2002. In 2015, Australia will play Kazakhstan in the World Group Quarterfinal in Darwin. The Fed Cup was launched in 1963 to celebrate the 50th anniversary of the International Tennis Federation (ITF). It’s now the world’s largest annual international team competition in women’s sport, with 90 nations entering in 2012. That first Federation Cup attracted entries from 16 nations, a respectable number considering there was no prize money and teams had to meet their own expenses. The rise in entries led to the creation of regional qualifying competitions in 1992 and, subsequently in 1995, Federation Cup adopted a new format and shortened its name to Fed Cup. 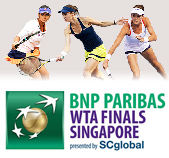 Since 2005, BNP Paribas has been the Title Sponsor of the premier team competition in women’s tennis.